The Royal Photographic Society is a name that has always been connected to not only the World of professional photography but to all types of photography within the United Kingdom. 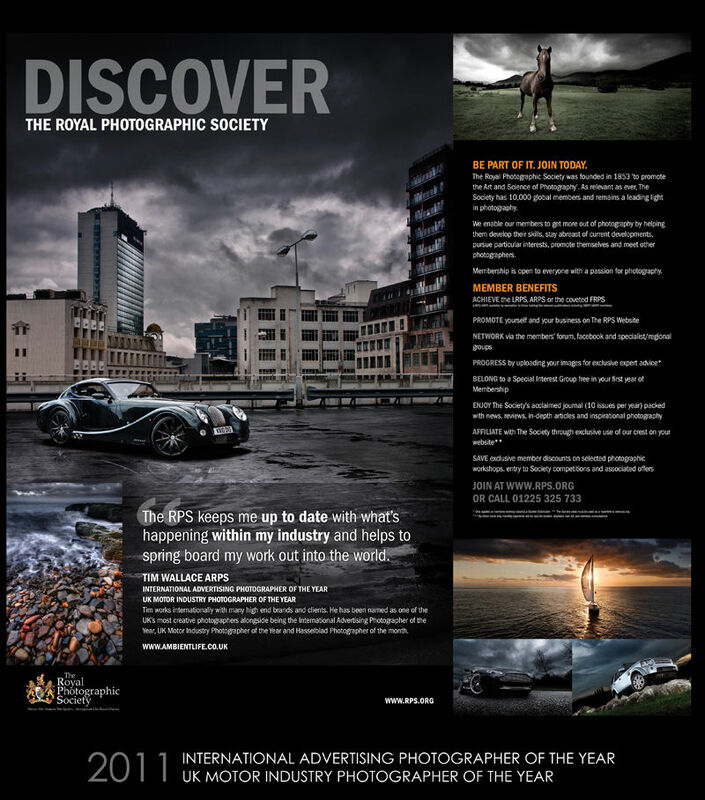 Today the RPS launched their new marketing work for show at RPS and Photographic events through out 2011. This year they have chosen the work of Ambient Life photographer Tim Wallace and have produced a advertising campaign around Tim's work. This year they have chosen the work of Ambient Life photographer Tim Wallace and have produced a advertising campaign around Tim's work. The first showing will be in a few weeks time during the 'Focus' photography show at the NEC starting the 6th March and running for 4 days. The advertisement will be displayed on the RPS stand and will be over 2 metres in height, this is indeed a real honour to have our work featured in such a away but this very respected and long running organisation.